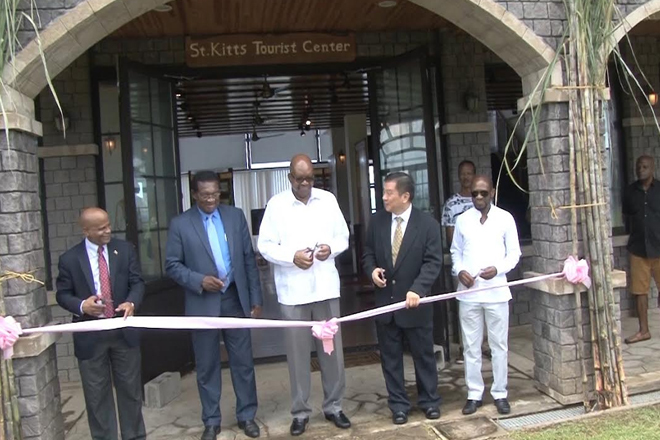 (ZIZ News) — The history of sugar In St. Kitts and Nevis was recently celebrated with the hosting of the first Sugar Festival and Exhibition by the Ministry of Tourism and the St. Kitts Eco-Park on Wednesday. Government officials, students, teachers and residents of the Federation gathered at the Eco-Park for the unveiling of the Sugar Festival and Exhibition. According to Minister of Agriculture, Hon. Eugene Hamilton the Eco-Park embraces a new journey of agro-tourism and culture surrounding the sugar industry. He spoke of what can be expected when visiting the exhibition. “Through this exhibition, artefacts and live cultural entertainment, visitors to this place are bound to be kept entertained throughout their stay. The atmosphere that has been created here so far and that we hope to create is one that captivates not only our foreign visitors but i will say our locals as well,” he said. Resident Taiwanese Ambassador, His Excellency George Gow-Wei Chiou in acknowledging the young people present spoke of his hope for the exhibition even after the festival had ended. “I hope after this festival we can invite more young people here to make the connection with your ancestors to understand the history and the life of your ancestor,” he said. The Sugar Festival held at the Eco Park was held under the theme “The Bittersweet Legacy of Sugar City” and displayed the history of the island from the first settlement to the 20th century.